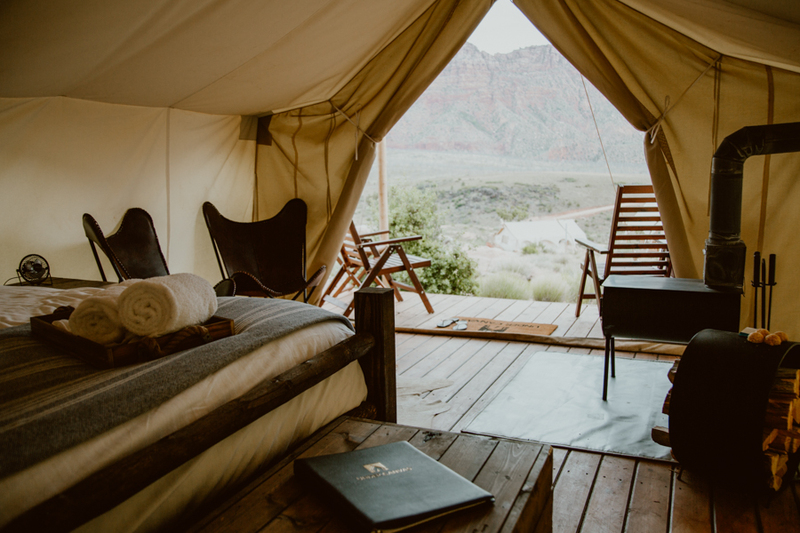 Under Canvas Zion is a safari-inspired glamping camp on the border of Zion National Park in Virgin, Utah. 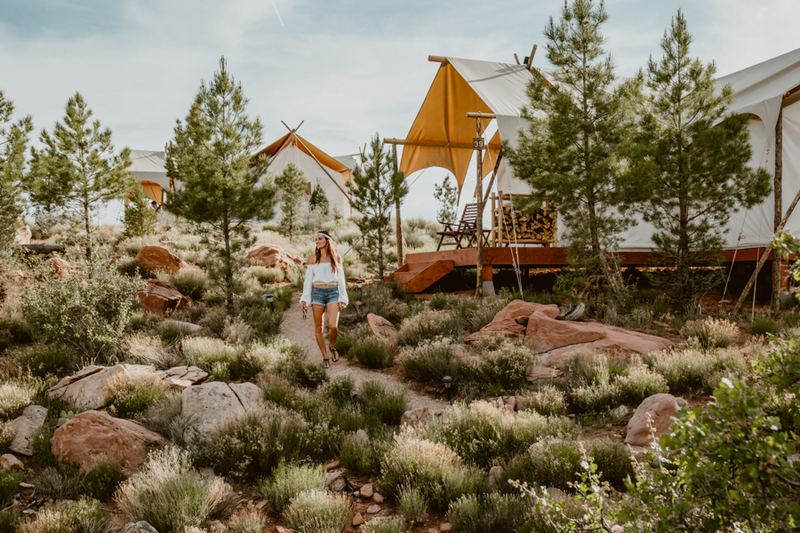 The camp offers guests an immersive outdoor escape combined with luxurious amenities synonymous with upscale resorts and hotels. 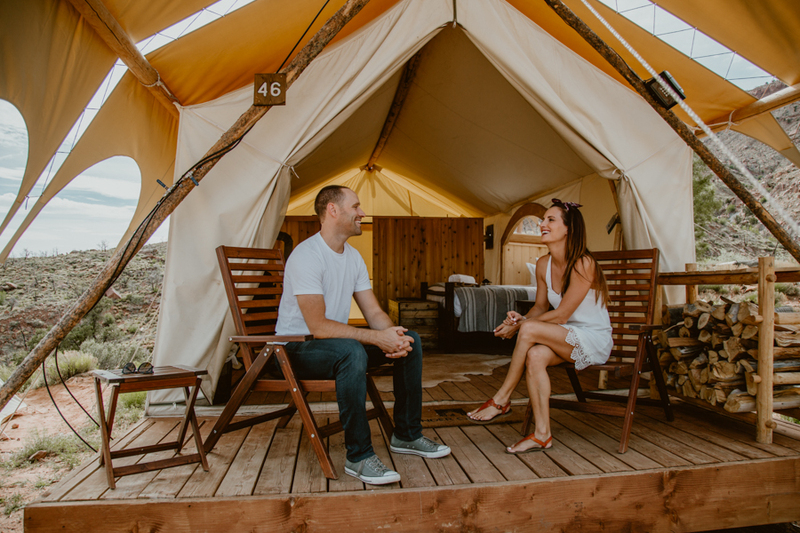 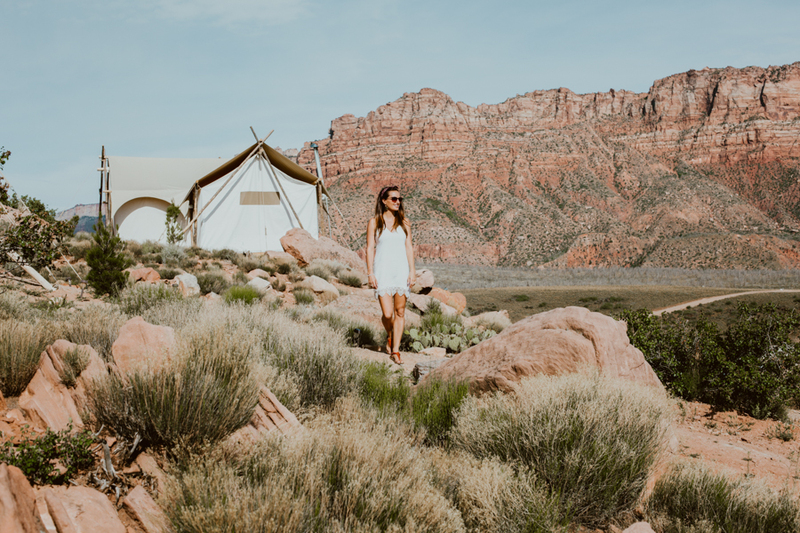 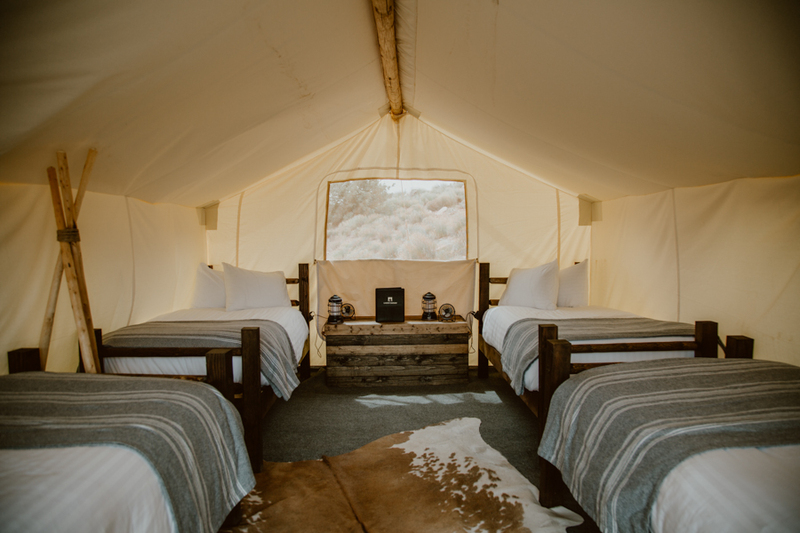 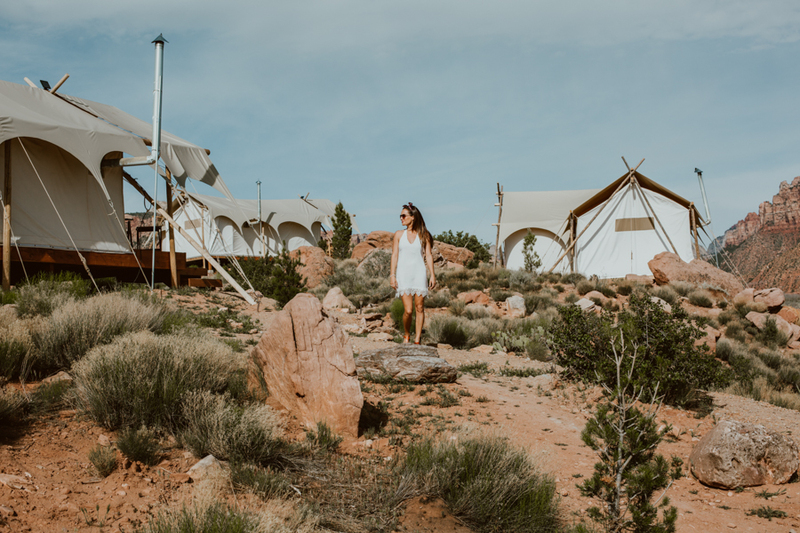 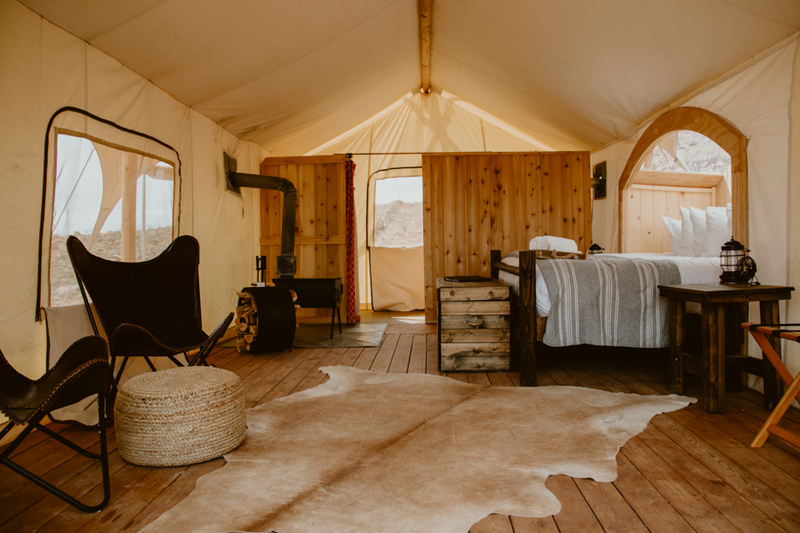 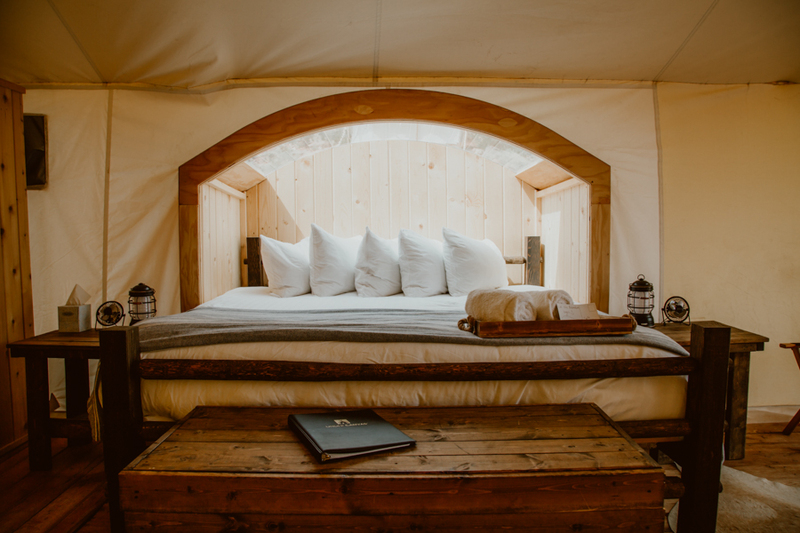 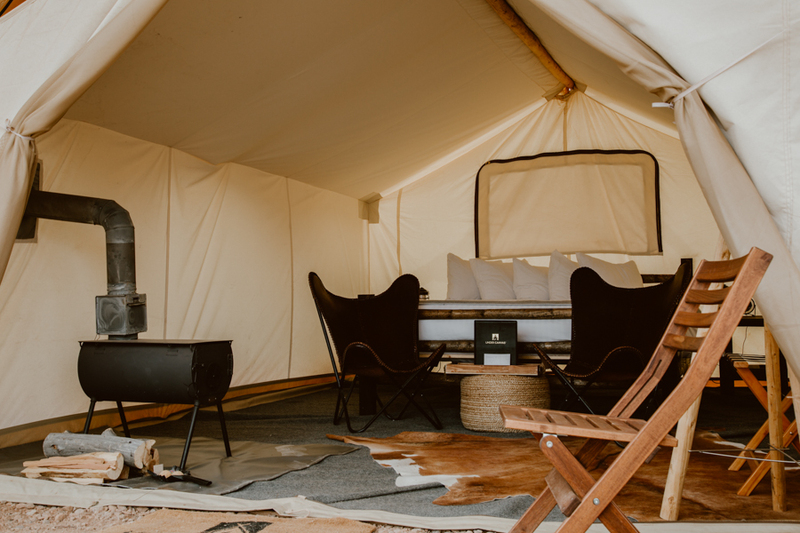 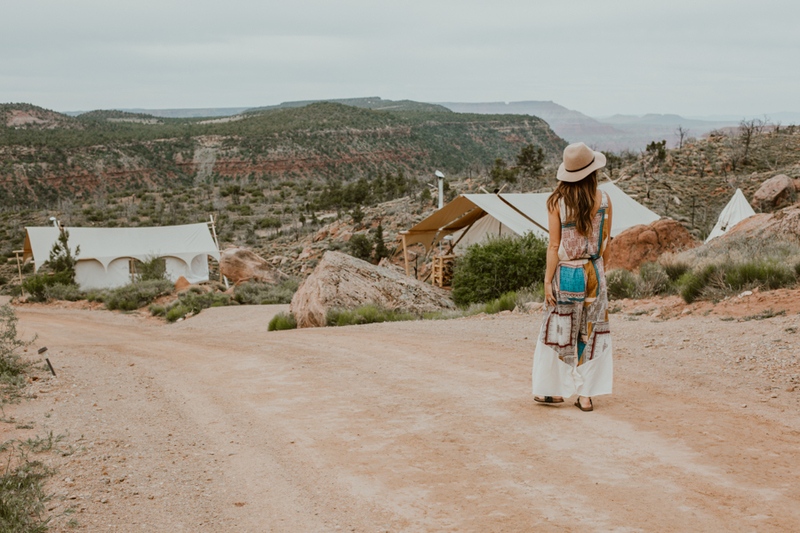 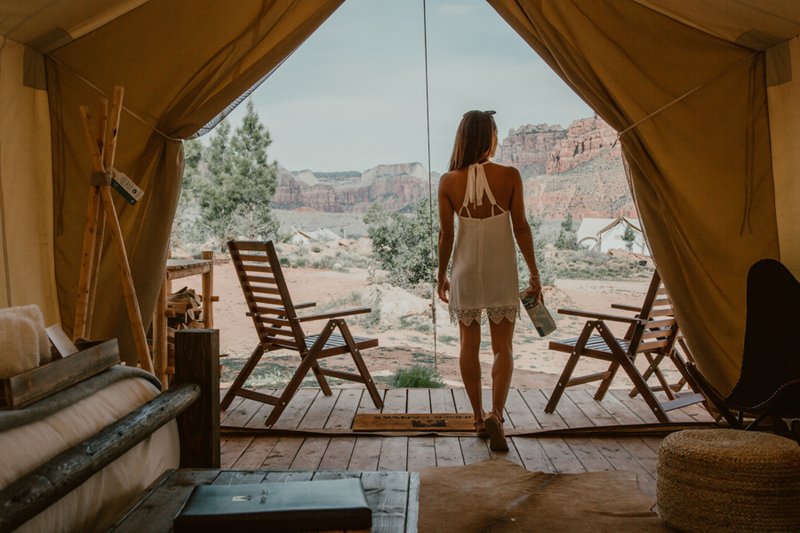 The beautifully appointed tents and well-kept grounds at Under Canvas give guests an incredible camping experience and the opportunity to explore the beauty of Utah’s breathtaking canyon country without giving up the comforts of home. 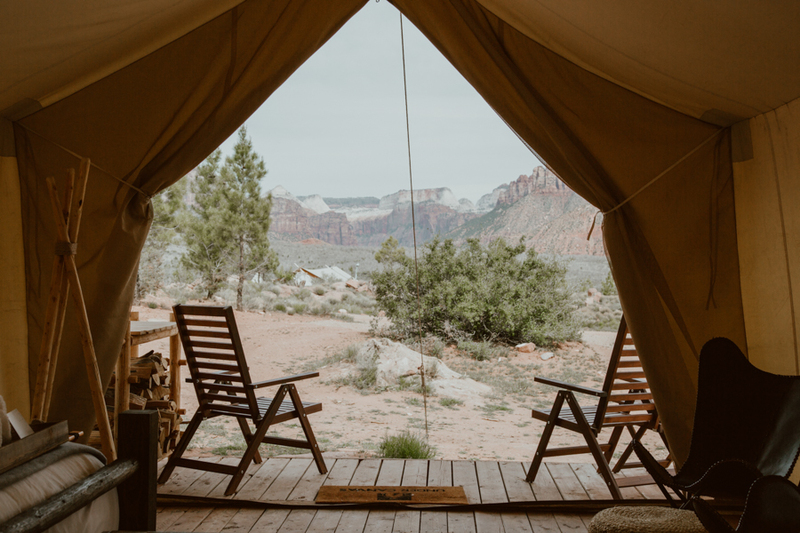 Under Canvas Zion is a luxurious glamping resort positioned on the edge of Zion National Park, one of the most stunning and beautiful natural attractions in the United States. 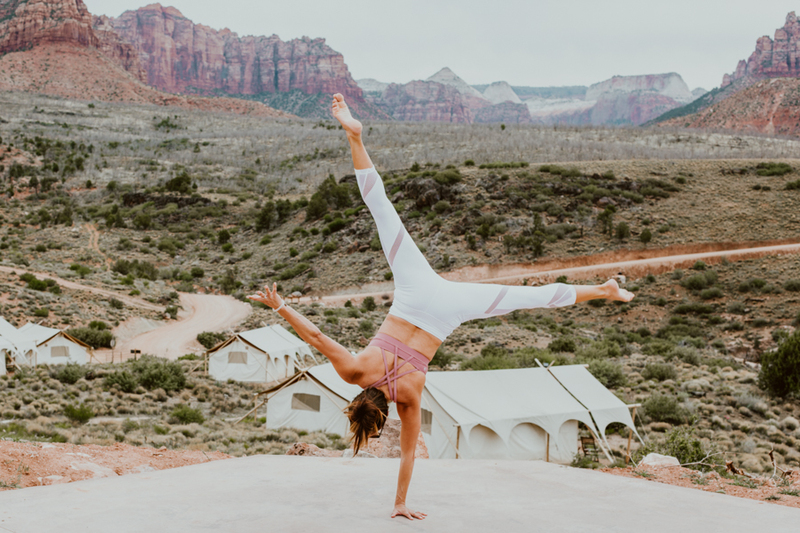 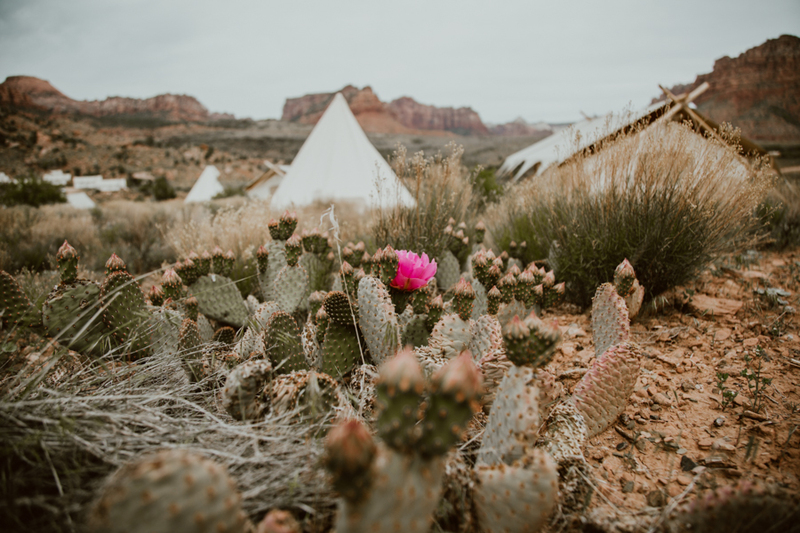 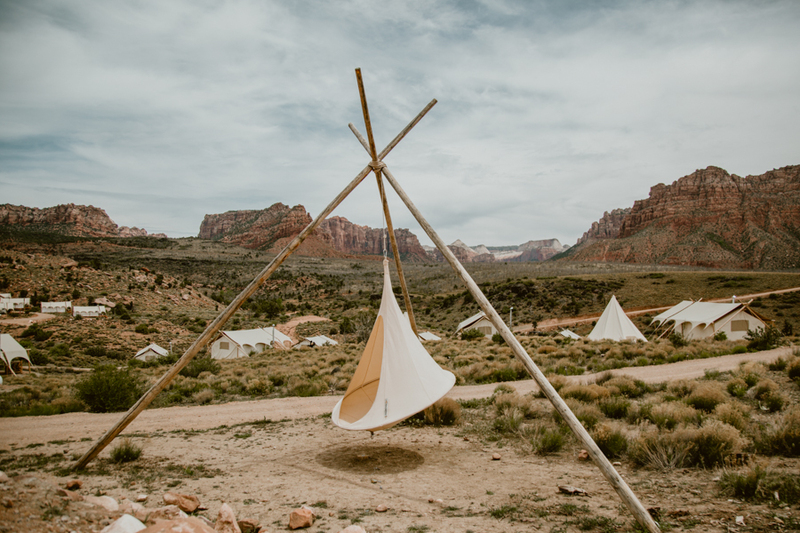 The camp is located on 196 acres and blends seamlessly into the majestic red rocks and desert landscape that makes Zion a world-famous destination. 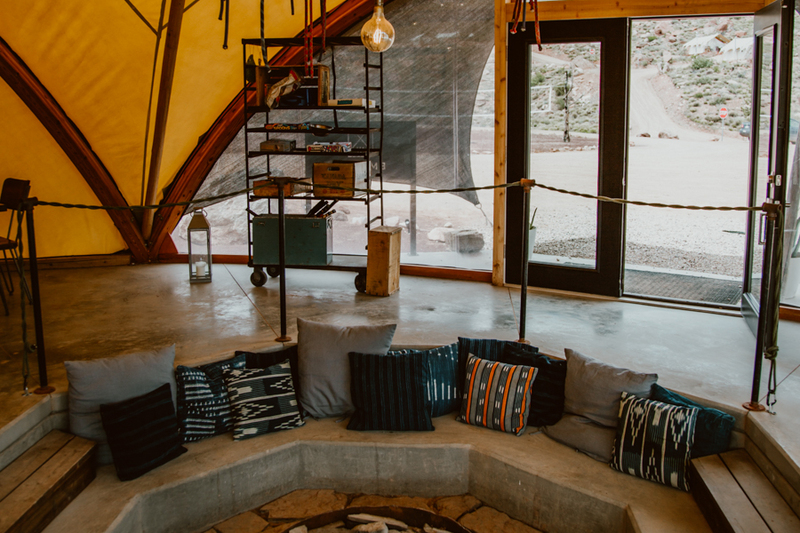 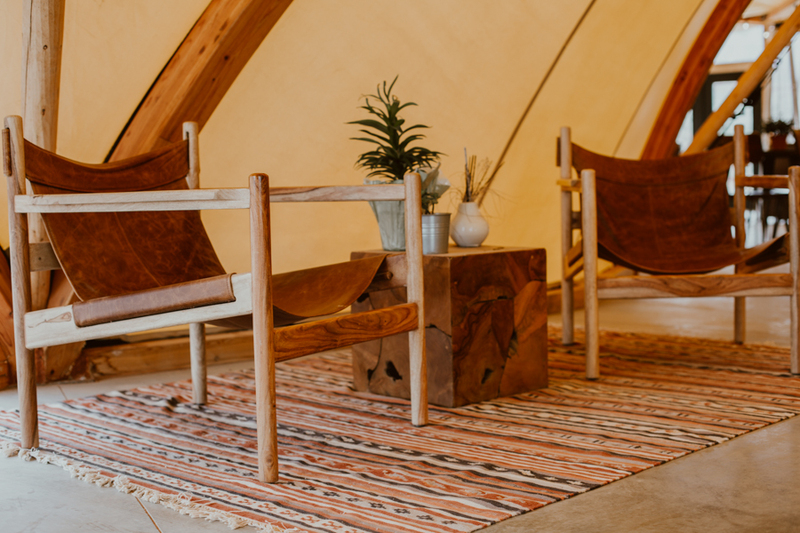 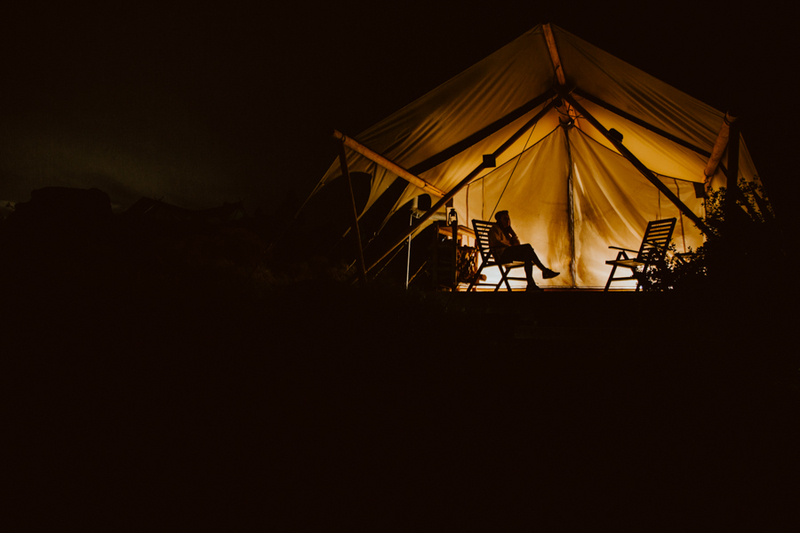 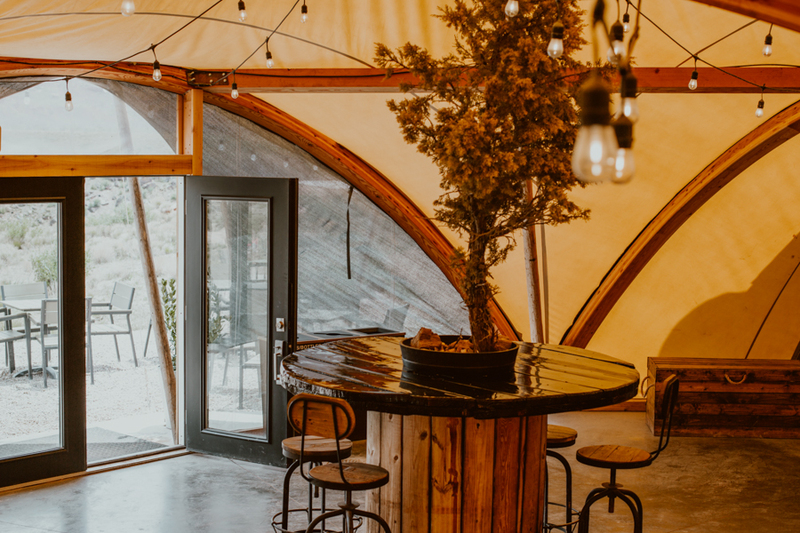 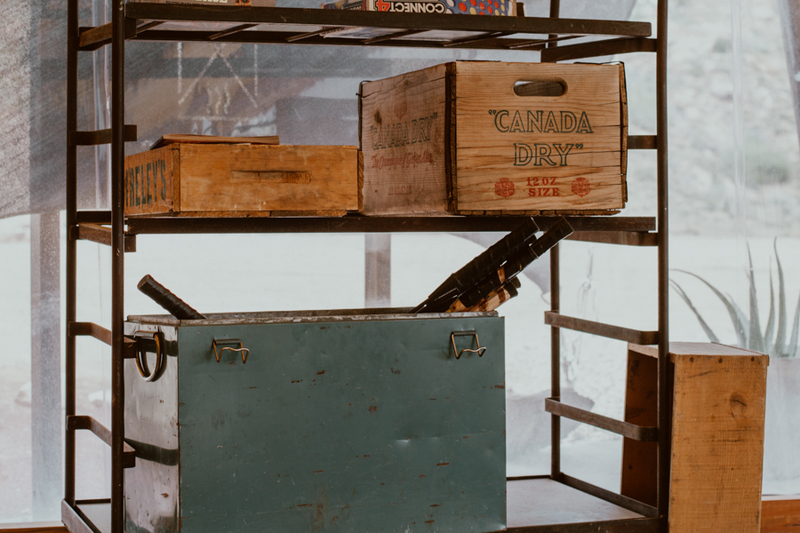 In addition to its individual tents and tipis, the camp features a central lobby tent that is home to an on-site restaurant and well-decorated common area. 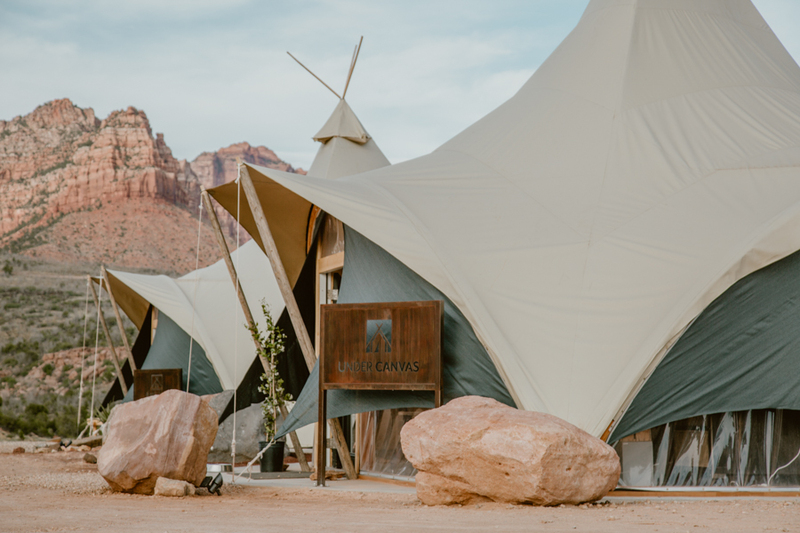 The lobby tent is surrounded by outdoor seating with panoramic views of Zion’s massive sandstone cliffs. 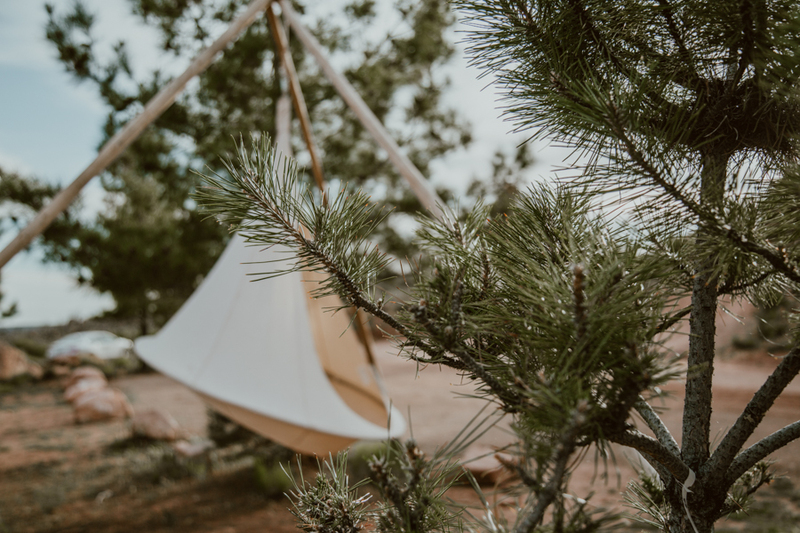 While Under Canvas Zion is focused on helping its guests explore and enjoy the outdoors, the camp also works hard to reduce its impact on nature. 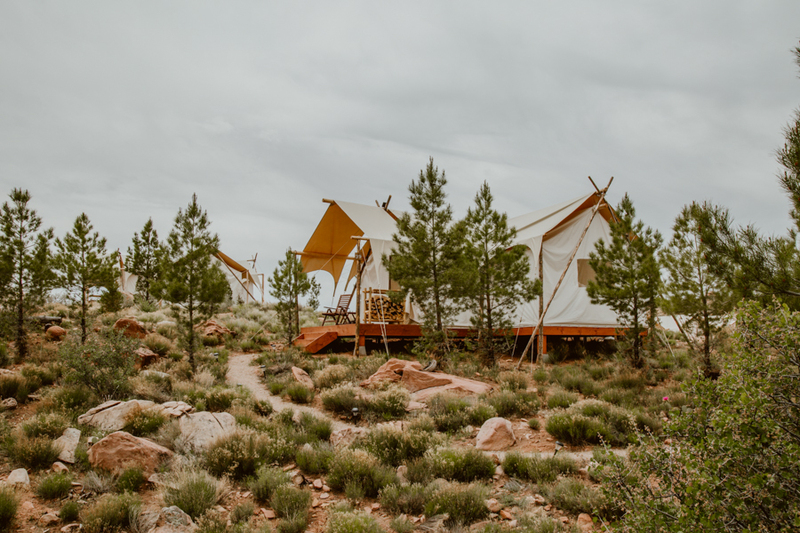 The property was designed to leave the land as untouched as possible, uses 87 percent less water than similar sized hotels and is 100 percent solar powered. 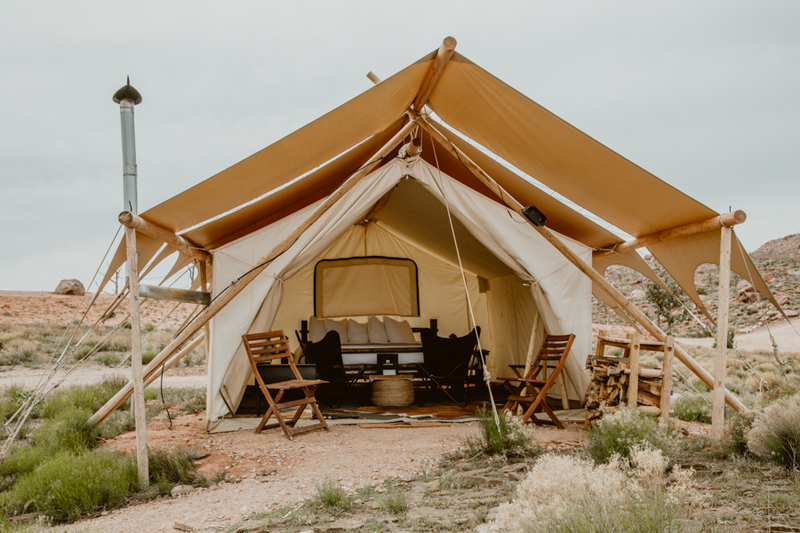 Under Canvas Zion offers a range of tent types from simple safari tents to extravagant suites with private bathrooms and separate living and sleeping spaces. 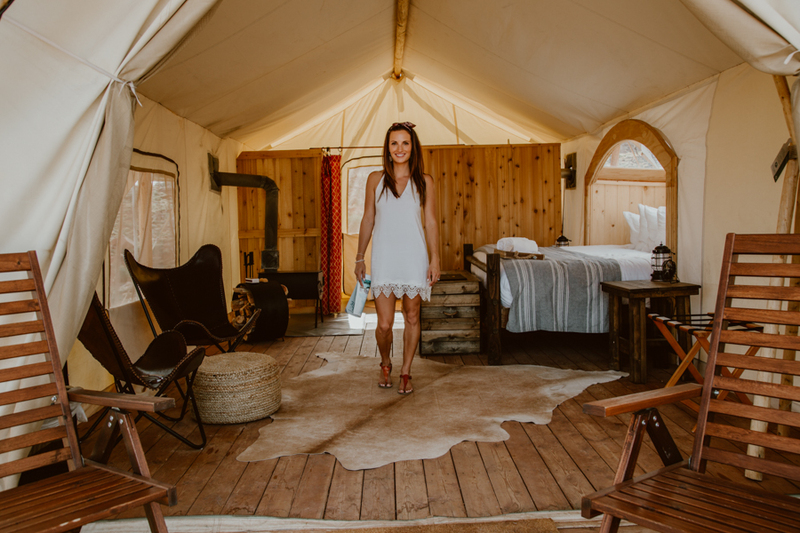 All tents feature real beds with luxurious linens and sleep a minimum of four people with tent/tipi combinations sleeping up to seven. 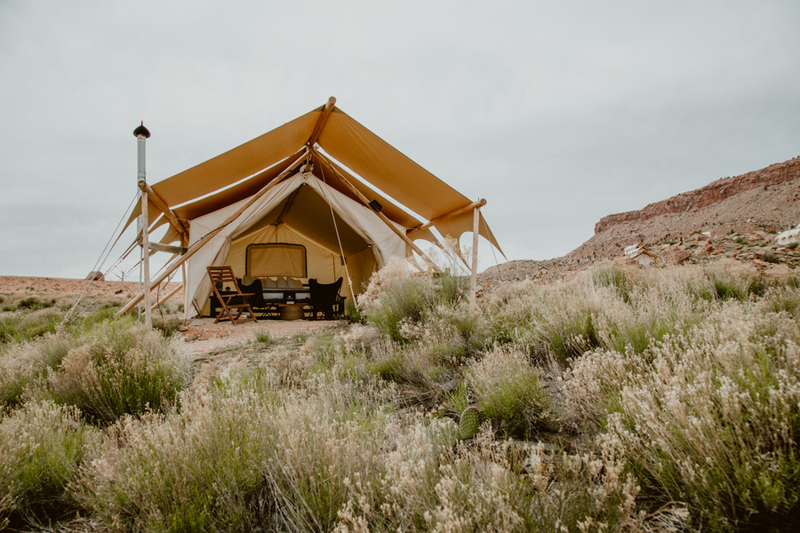 Most tents offer sweeping views of the desert landscape and surrounding red rocks. 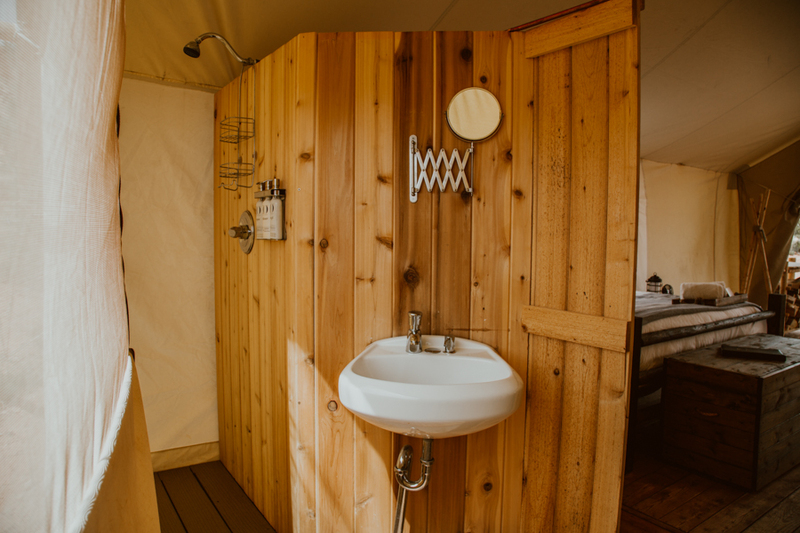 The deluxe, stargazer and suite tents feature private en suite bathrooms with a hot shower, sink and flushing toilet. 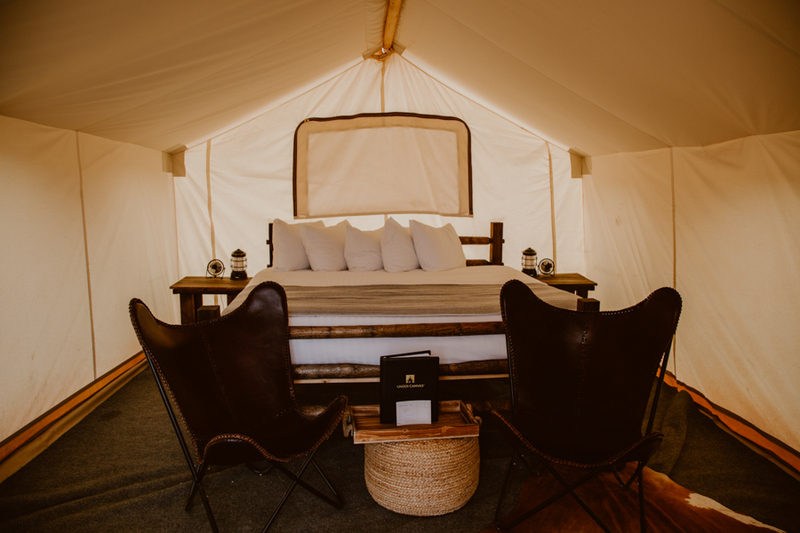 Prices vary based on tent type and availability. 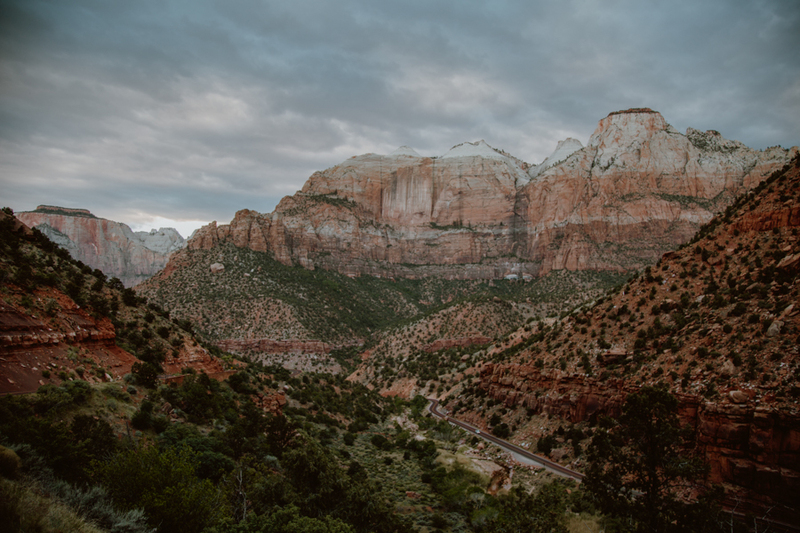 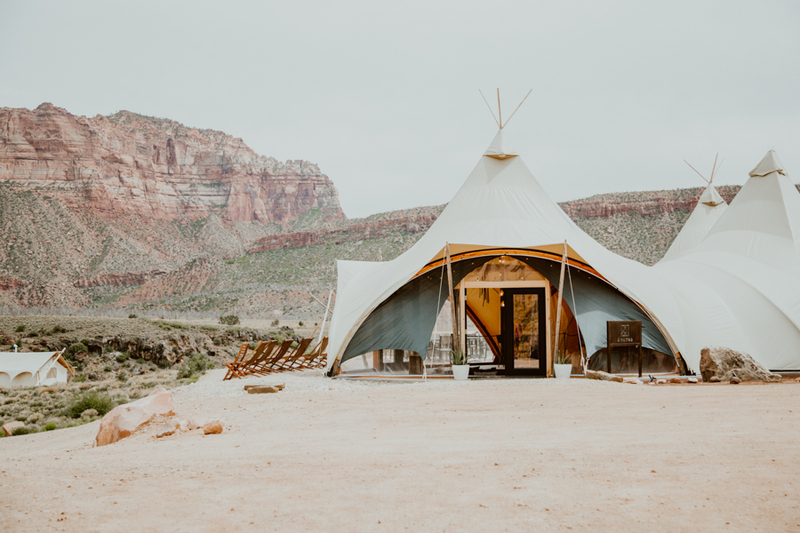 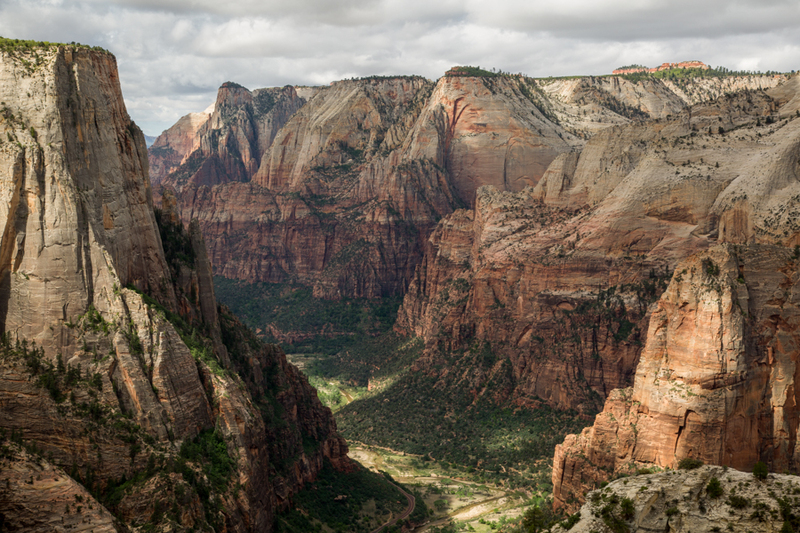 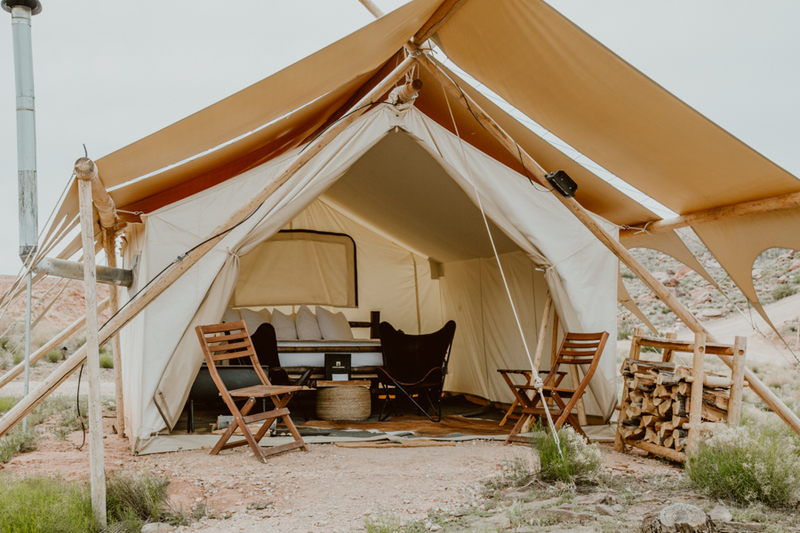 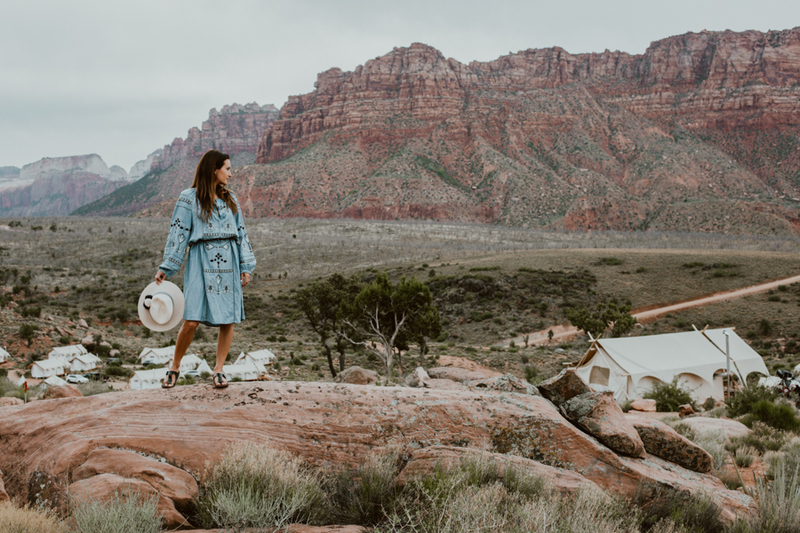 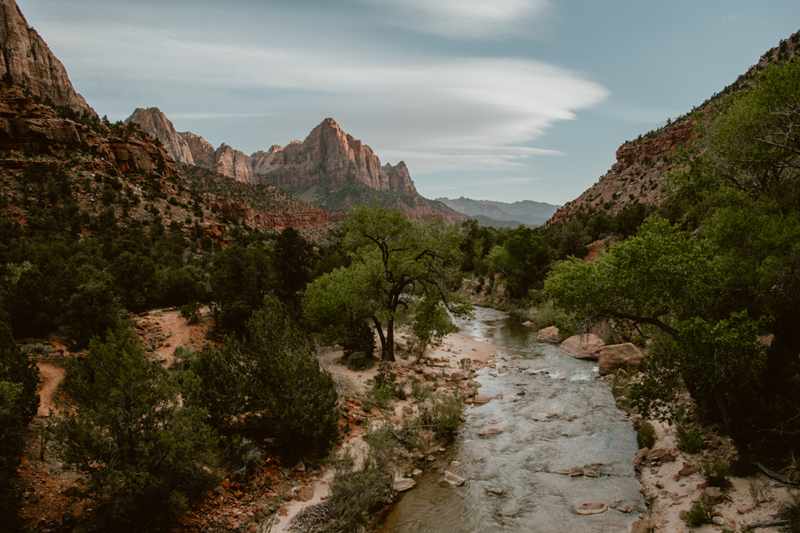 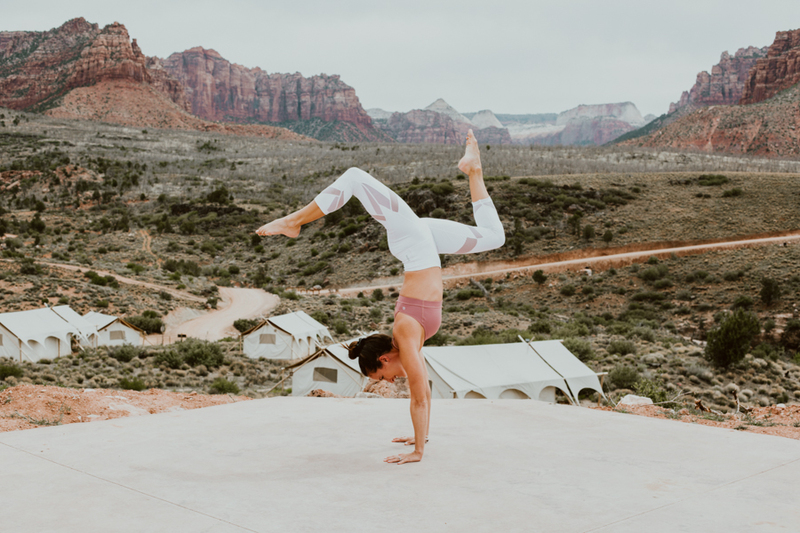 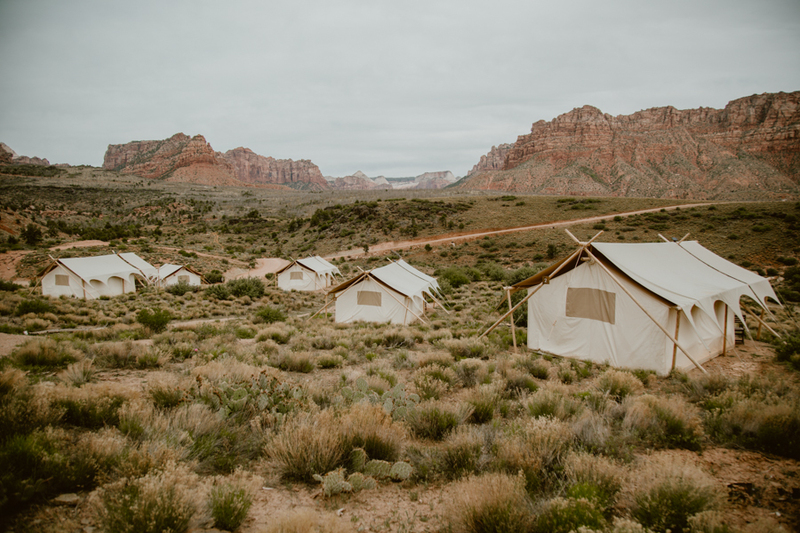 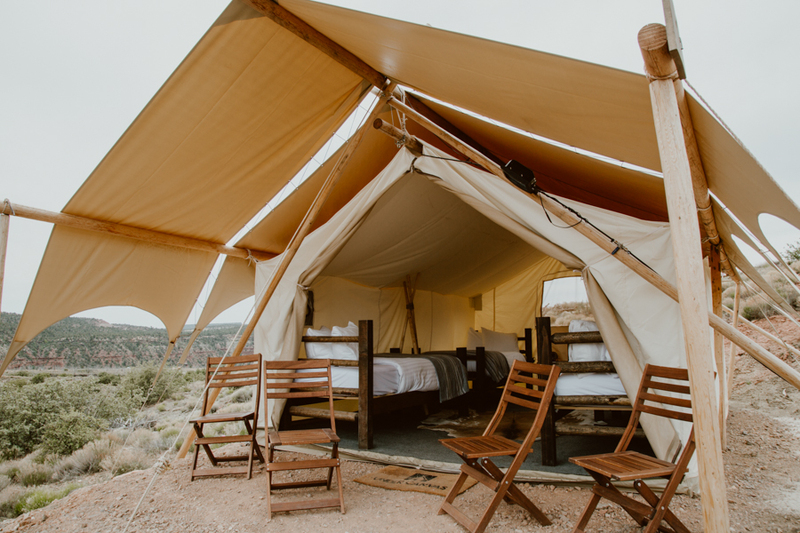 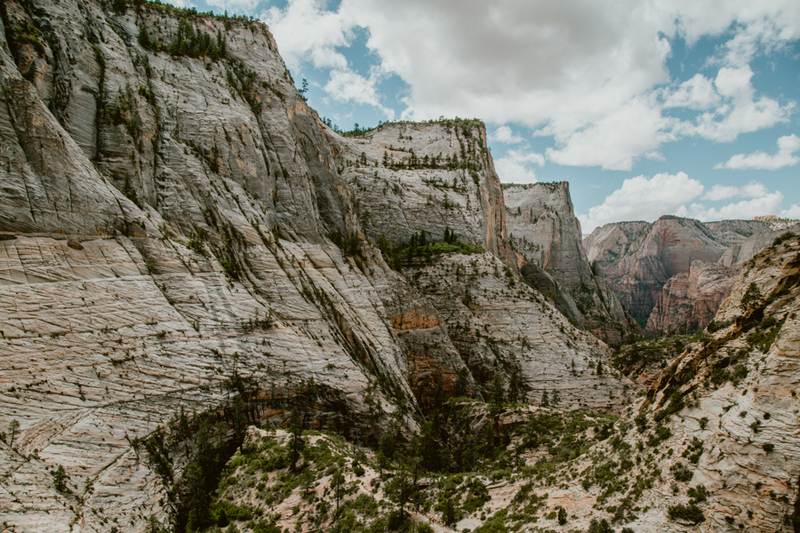 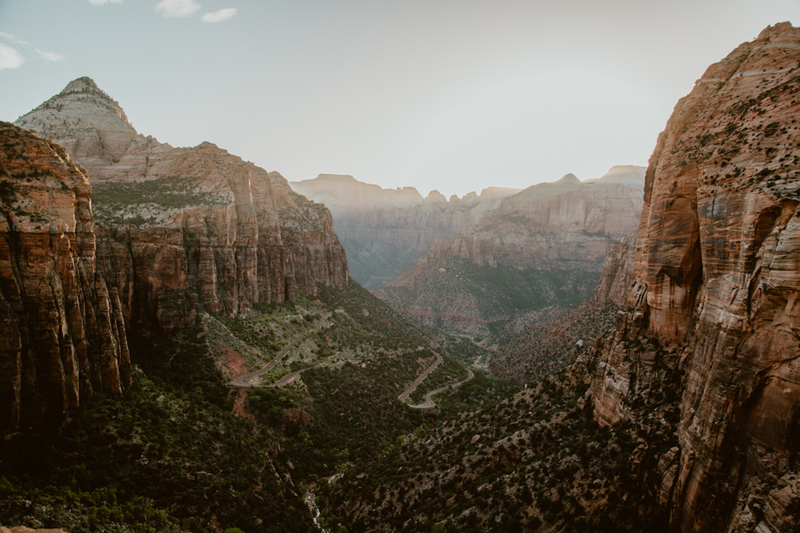 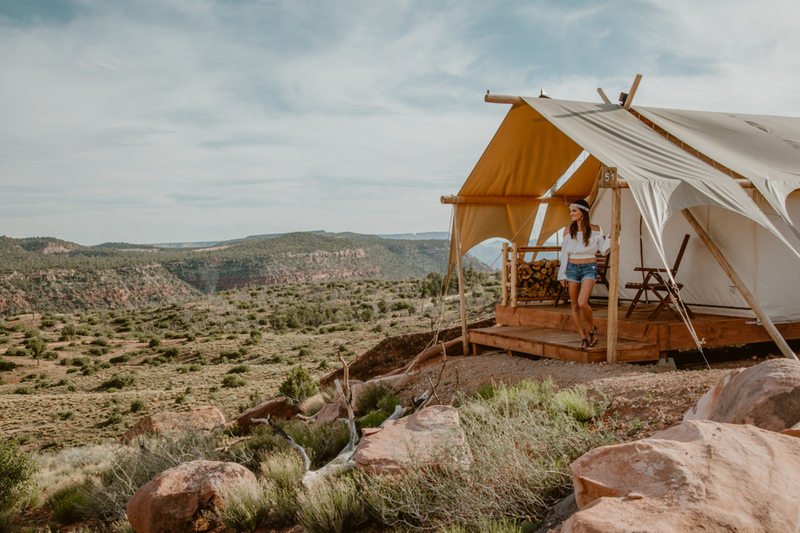 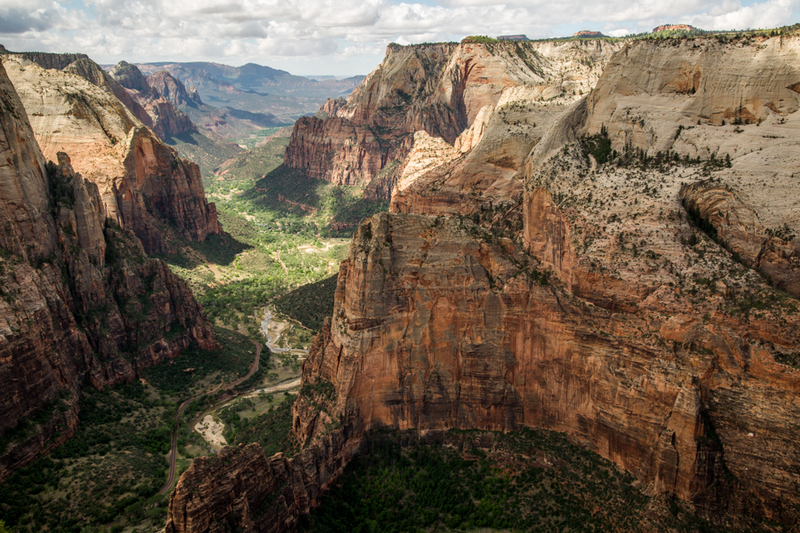 The most important amenity at Under Canvas is its close proximity to Zion National Park, which covers more than 232-square-miles and boasts some of the most scenic canyon country in the United States. 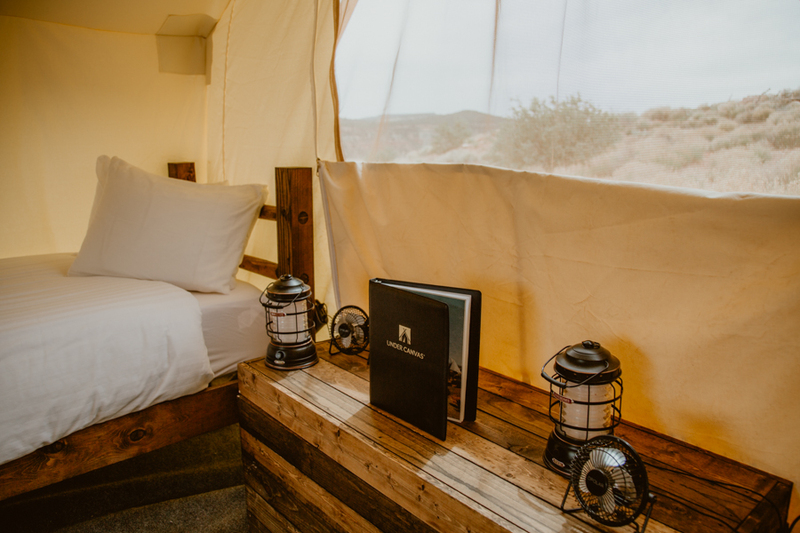 Under Canvas also offers custom adventure packages and activities that include rock climbing, biking, canyoneering, horseback riding, kayaking, hot air ballooning, jeep safaris, helicopter tours and massages. 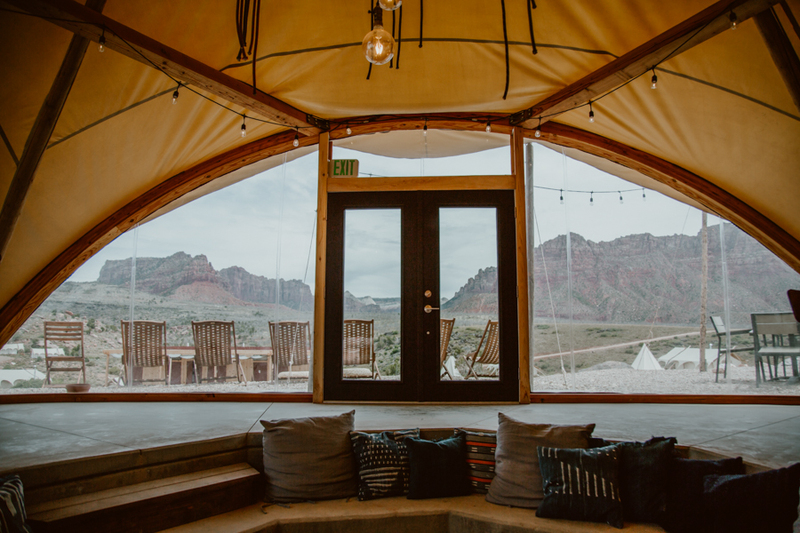 Music by the fire, guided nature walks, star parties and sunrise/sunset yoga are free daily activities offered to all guests. 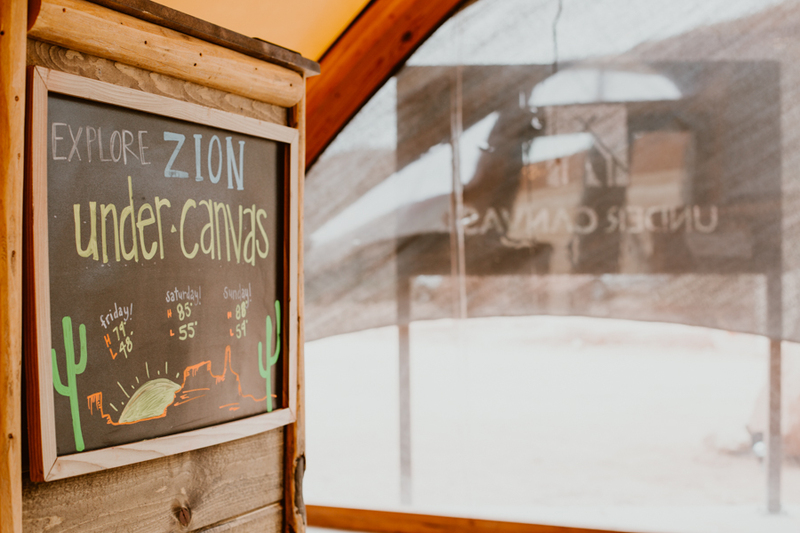 Embers, Under Canvas Zion’s on-site restaurant, is housed in the lobby tent and offers hot breakfast, boxed lunches and cookout style dinners. 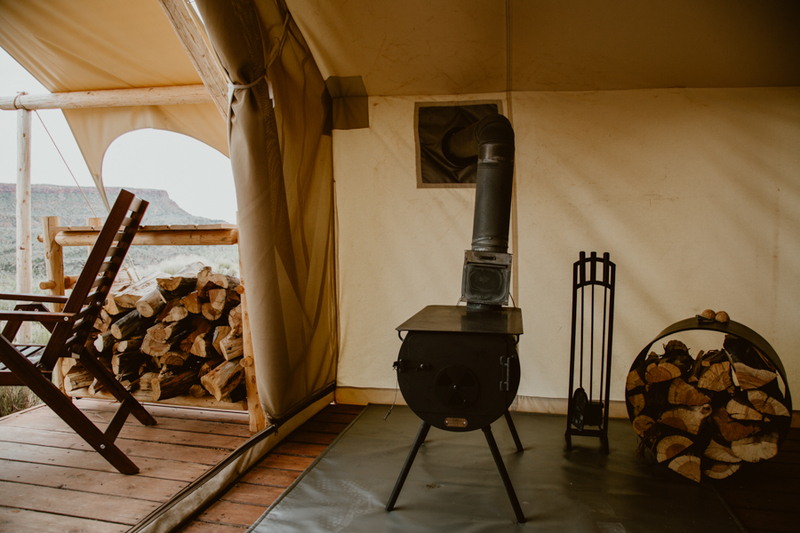 Breakfast is served from early until 10 a.m. and dinner is served from 5 to 10 p.m. Boxed lunches must be ordered the night before and are prepared each morning for trips into the park. 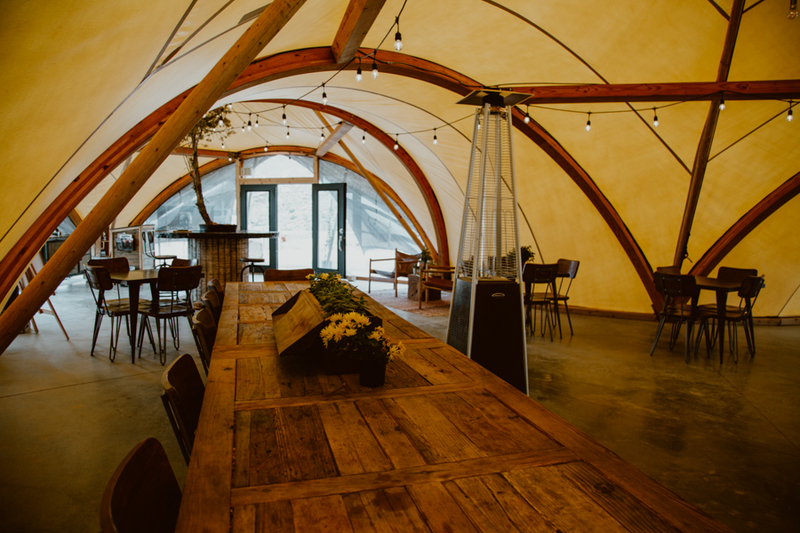 Hot tea, coffee and filtered water are available 24/7 in the reception. 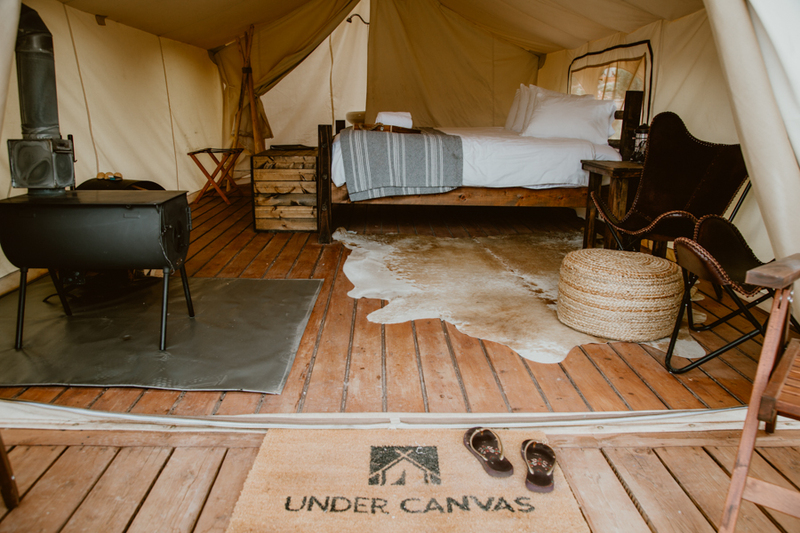 In addition to the restaurant, Under Canvas has gas barbeques available for guests to prepare their own meals. 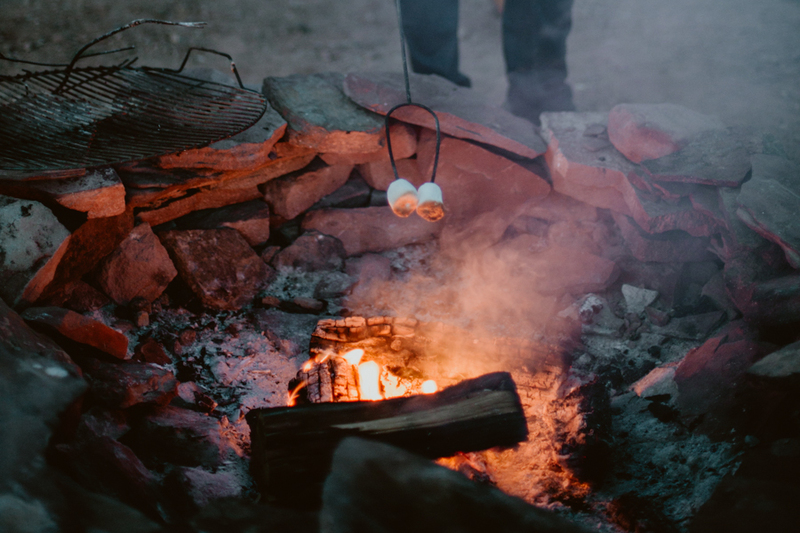 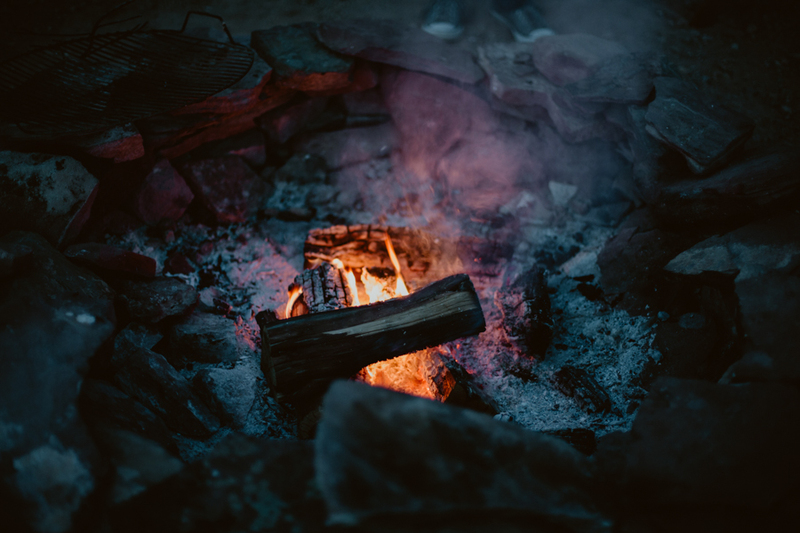 Each evening the staff lights camp fires and provides s’mores supplies for anyone who wants to sit by the fire and gaze up at the stars. 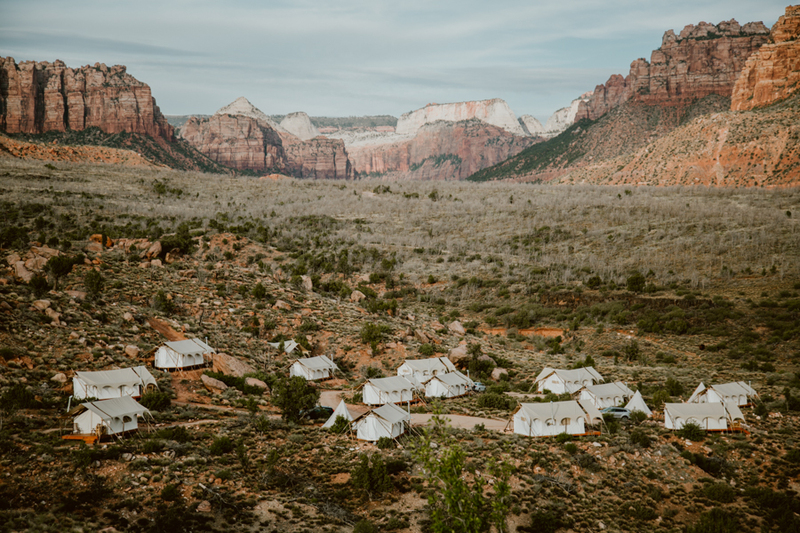 Under Canvas Zion is located on Kolob Terrace Road on the western border of Zion National Park. 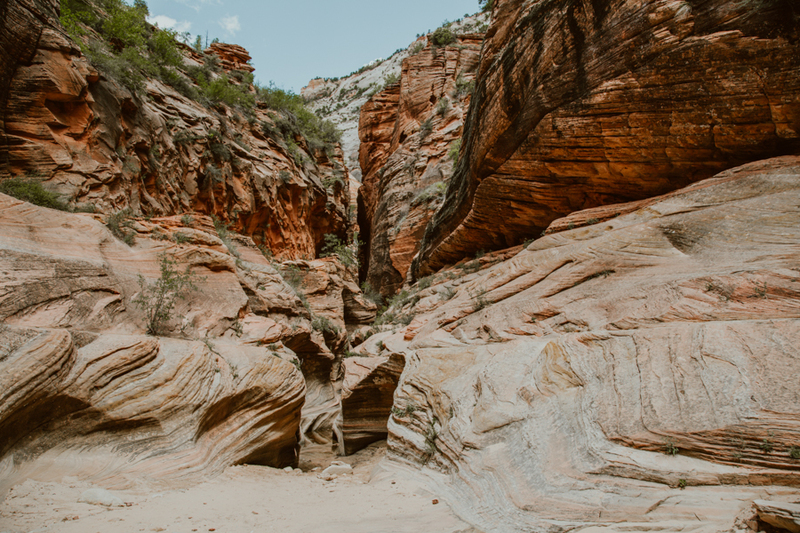 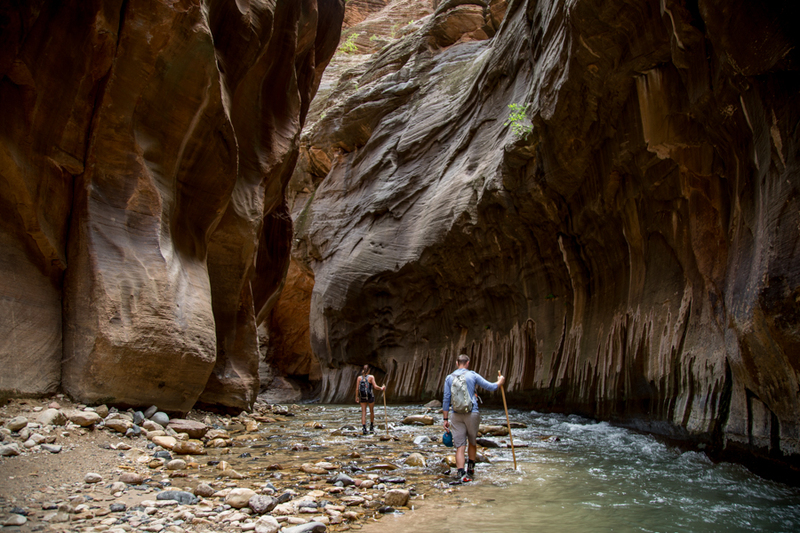 The property is steps from the iconic hikes, canyoneering and outdoor adventure activities that make Zion National Park a world-famous destination.